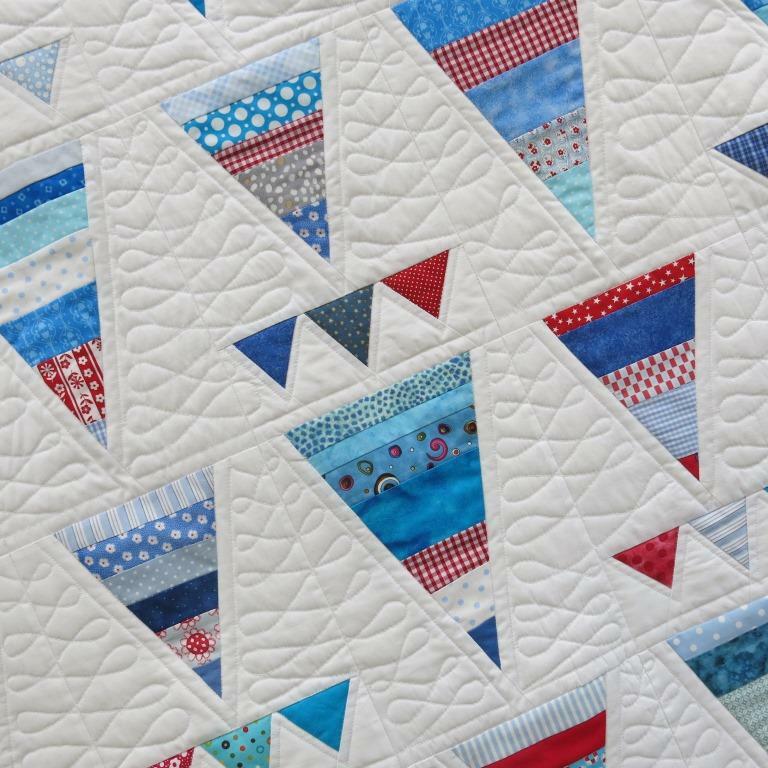 The design started as one from a tutorial by Ashley at Film in the Fridge but then I added some tiny flags which could be bunting. 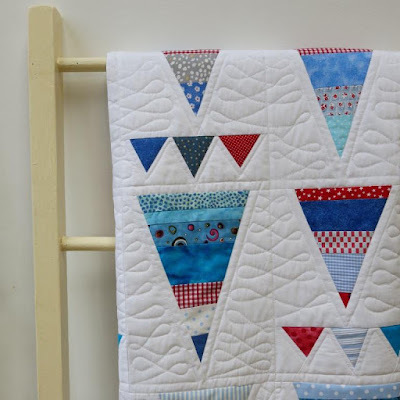 The backing is a pale grey cotton with tiny swirls which look a bit like fossils. 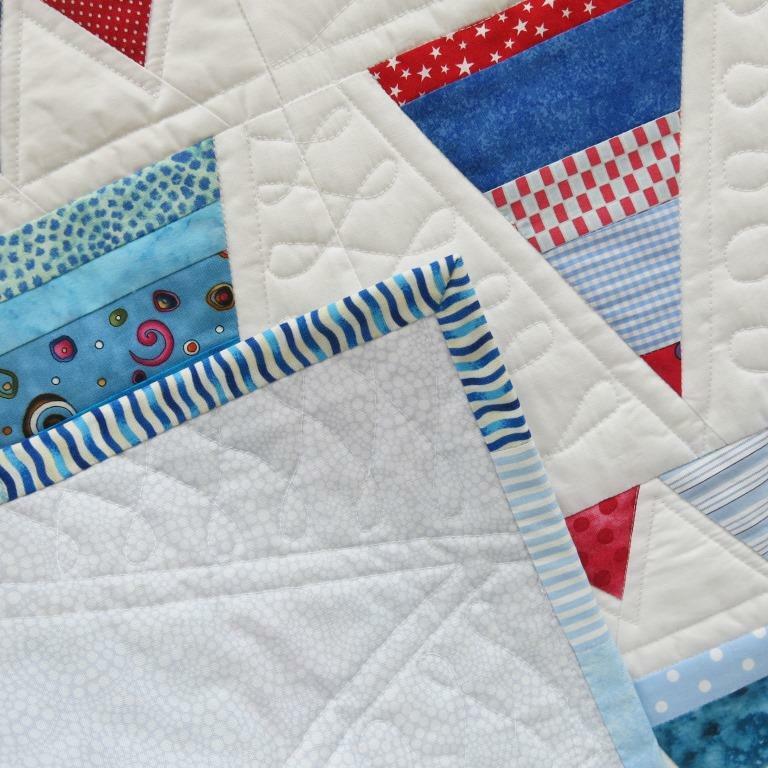 The quilting is like coiled loopy rope. 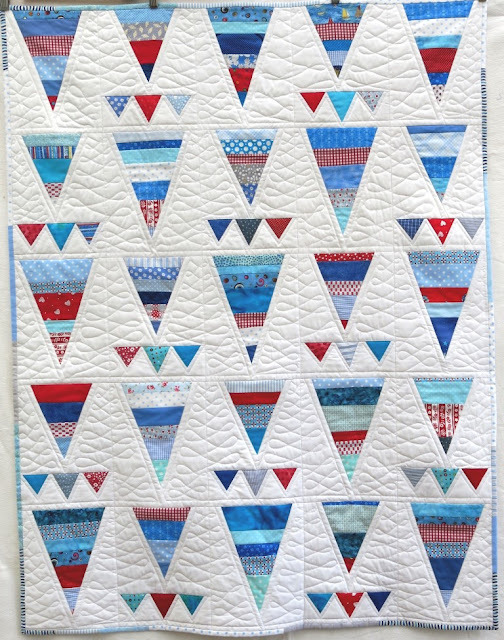 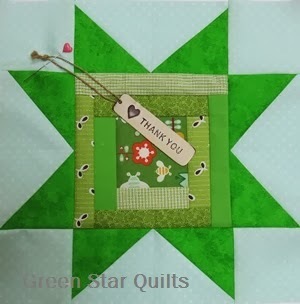 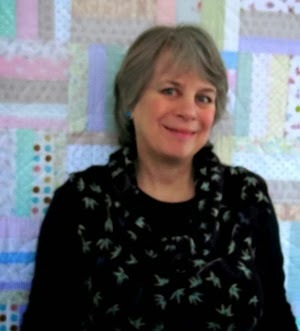 Thank you to Ashley for this tutorial, do visit her using the link above if you get time, her quilt photos are brilliant!